Dr. Carl Doerfler is an associate professor of Political Science in the Department of Behavioral and Social Sciences at the University of Montevallo. He holds a B.A. from Brigham Young University and a Ph.D. from Texas A&M University. Dr. Doerfler’s research interests include education policy and organizational effectiveness. He has explored the effects of school superintendent representational style on the academic performance of racial minorities. He is involved in a long-term research project using Alabama school data in order to replicate a number of public administration studies. His work has been published in the Review of Policy Research and Teachers College Press. 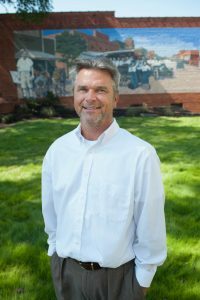 At the University of Montevallo, Dr. Doerfler teaches courses in American national government, state and local government, social science research methods, constitutional law, American political thought, public policy, and great books in political thought. He also serves as the Pre-Law advisor. See Dr. Doerfler’s CV here.